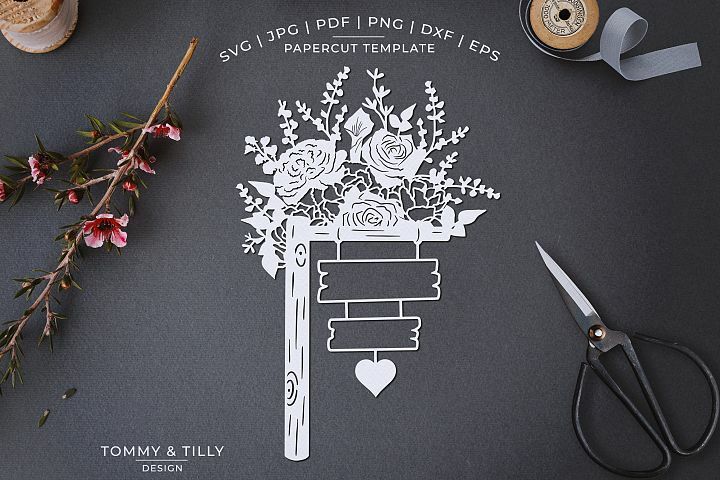 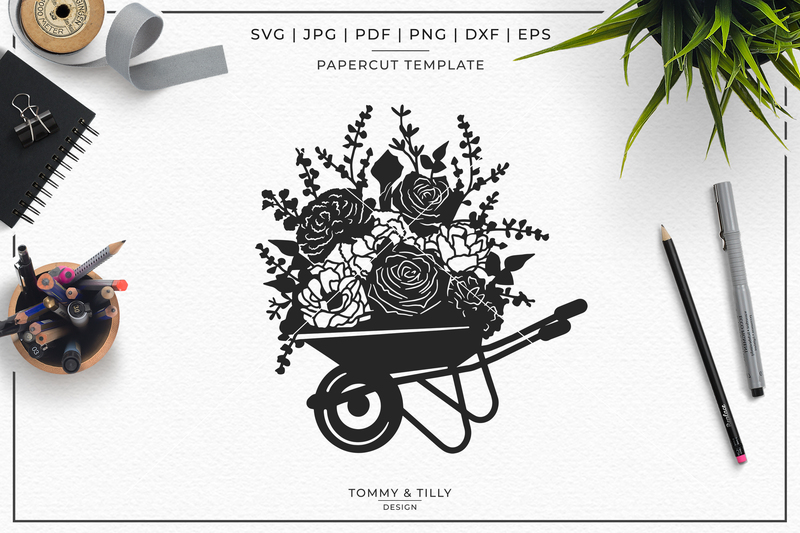 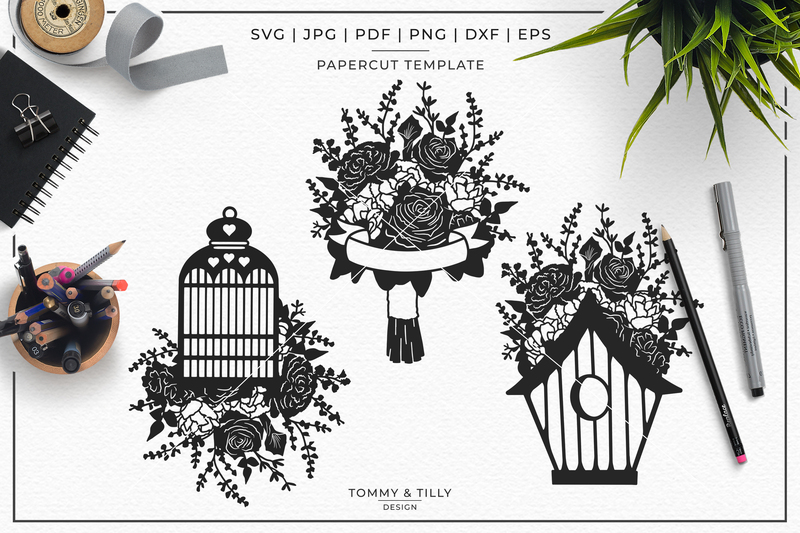 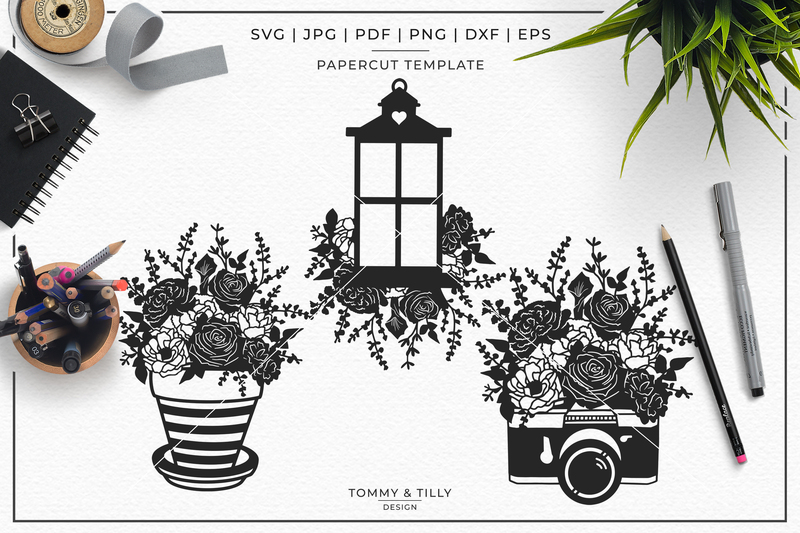 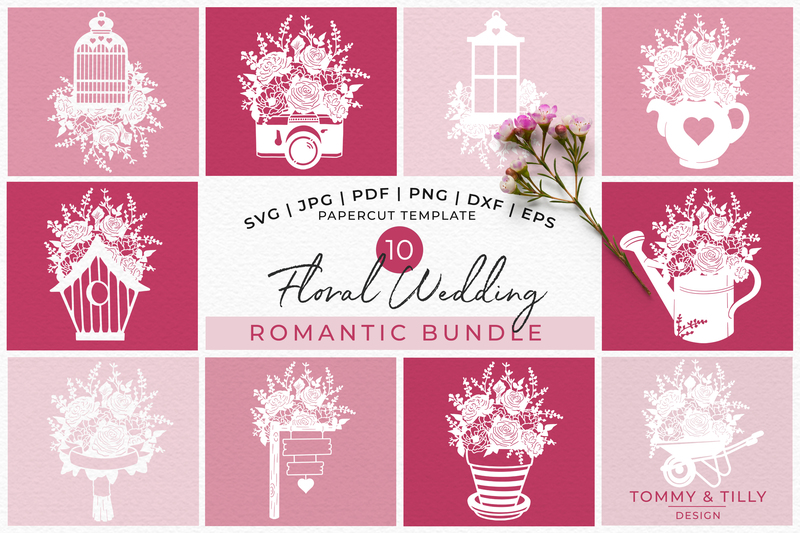 This Romantic Floral Wedding Bundle contains 10 designs, each supplied in SVG, EPS, DXF, PNG, PDF & JPG format. 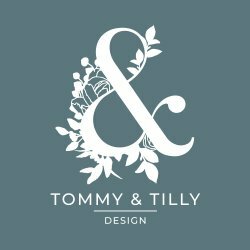 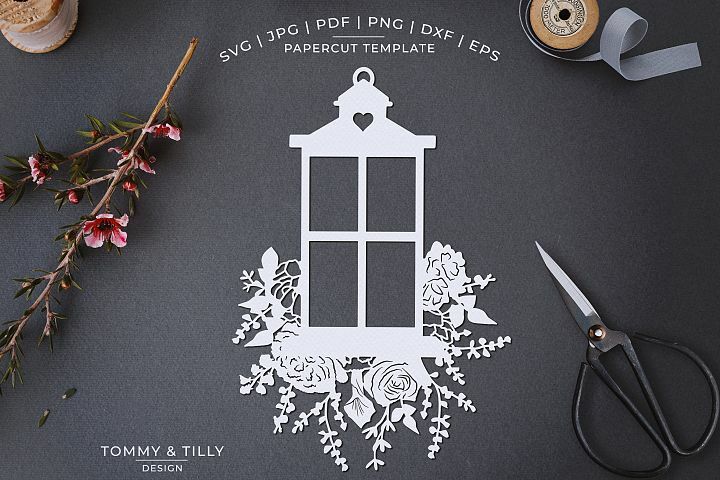 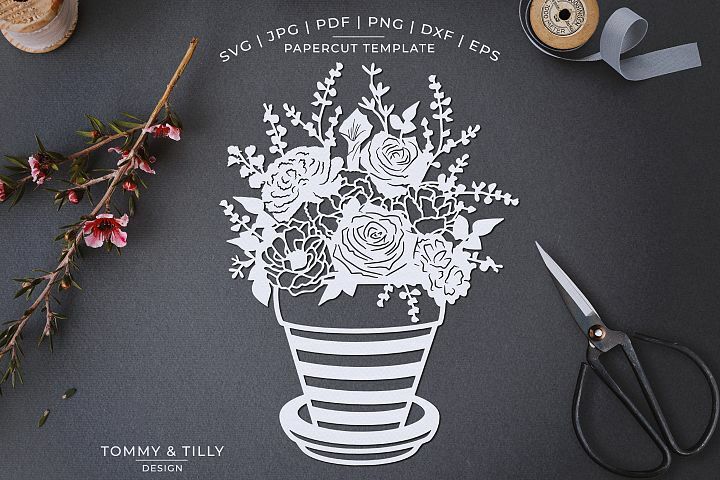 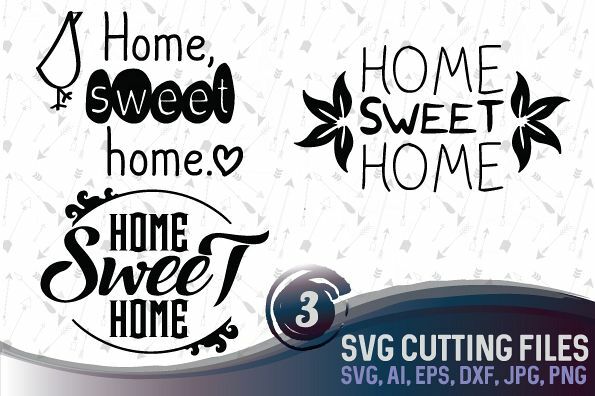 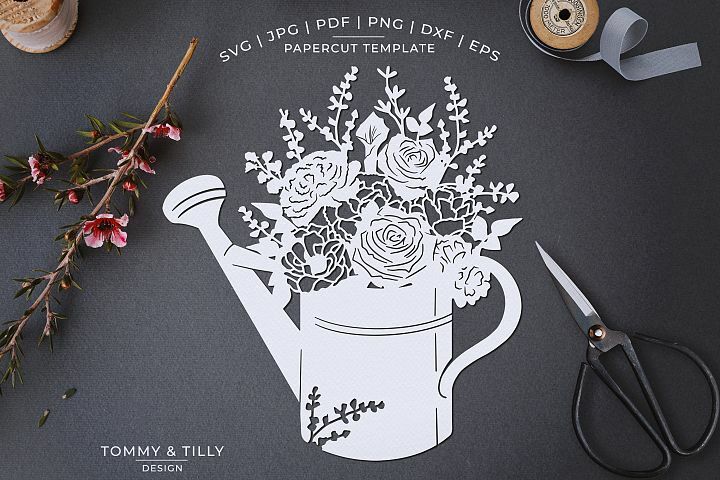 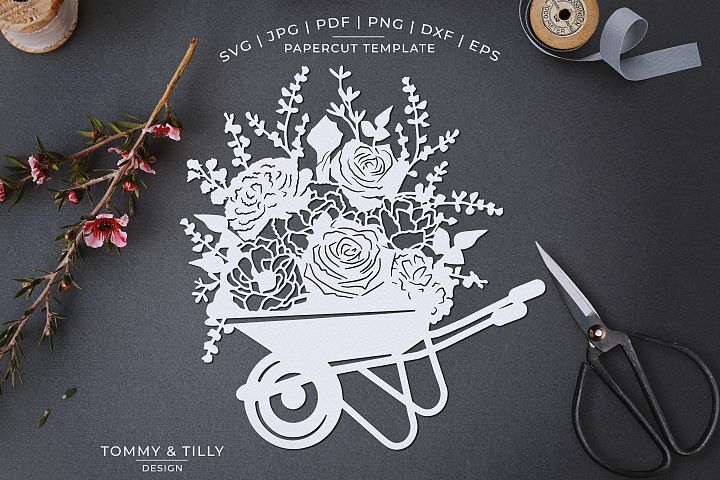 They are perfect for hand paper cutting and machine cutting (please make sure the file format is compatible with your machine before purchase). 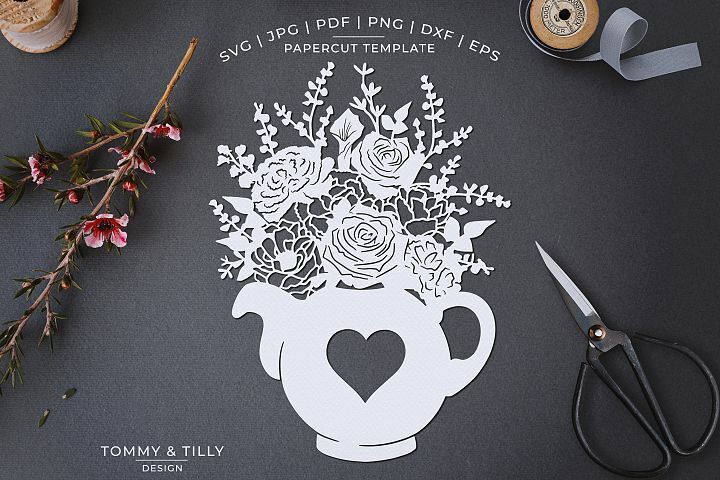 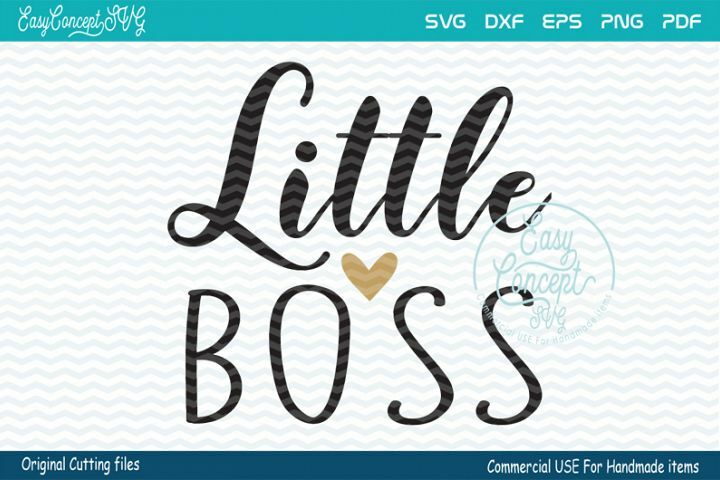 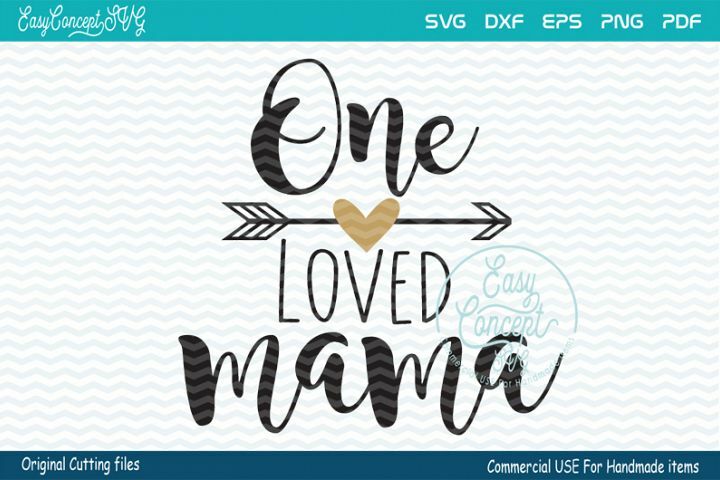 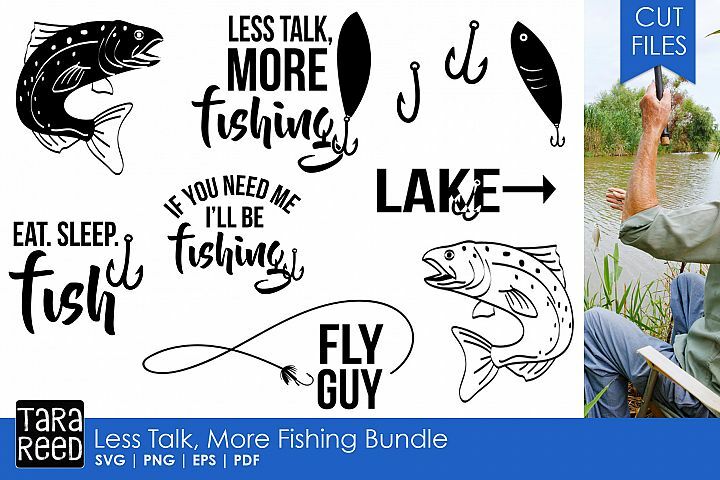 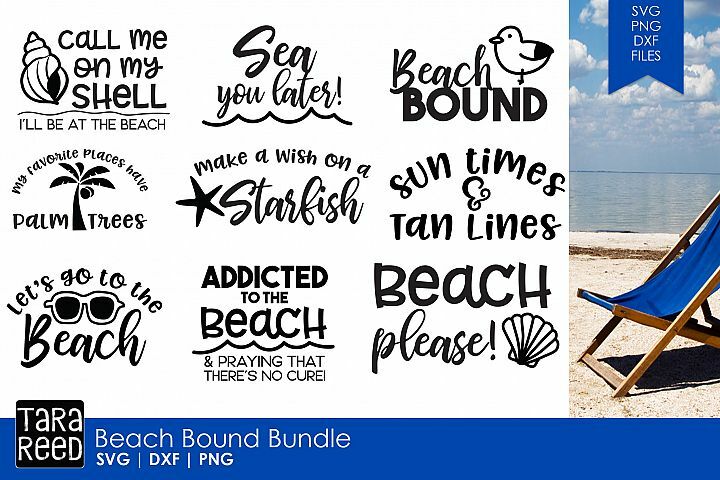 They can also be used as a clipart graphic in printed format, making them ideal for wedding invitations, nursery prints, greeting cards and much, much more! 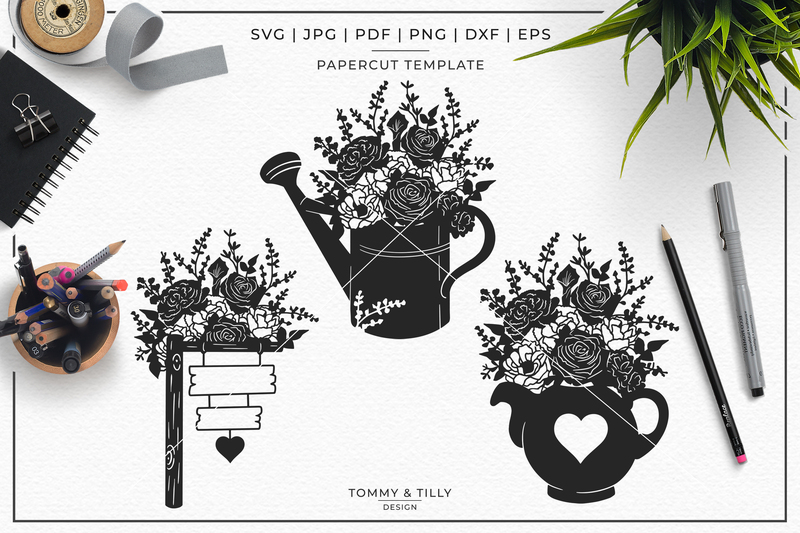 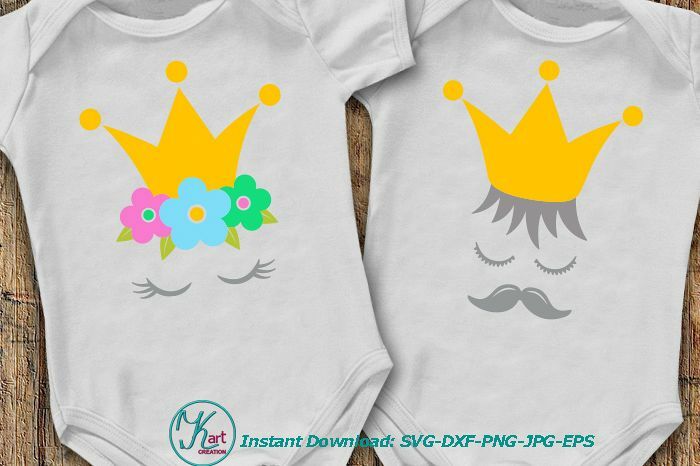 The items included in the photos above are an example of what you can create with these designs and are for illustration purposes only.